Situated on the banks of the Thames, Royal Arsenal Riverside is a £1.2bn regeneration scheme including historic building conversions, that will include over 5,000 homes on completion. 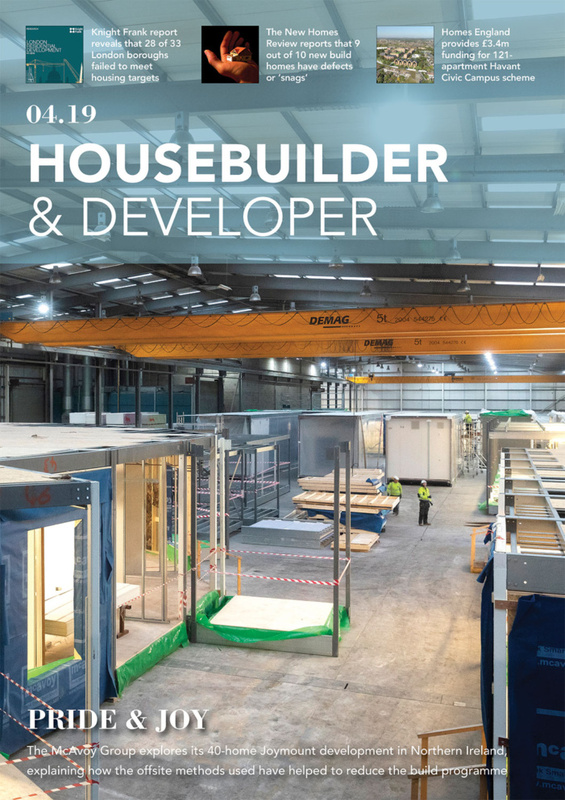 Jack Wooler reports for Housebuilder & Developer on one of the major developments already completed within the project – Waterfront, by Berkeley Group. Located along the River Thames, in the historic Royal Borough of Greenwich, Royal Arsenal Riverside is described by the developers Berkeley Group as a development that will offer buyers a high spec level of quality, and will provide a hybrid of riverside and city living. 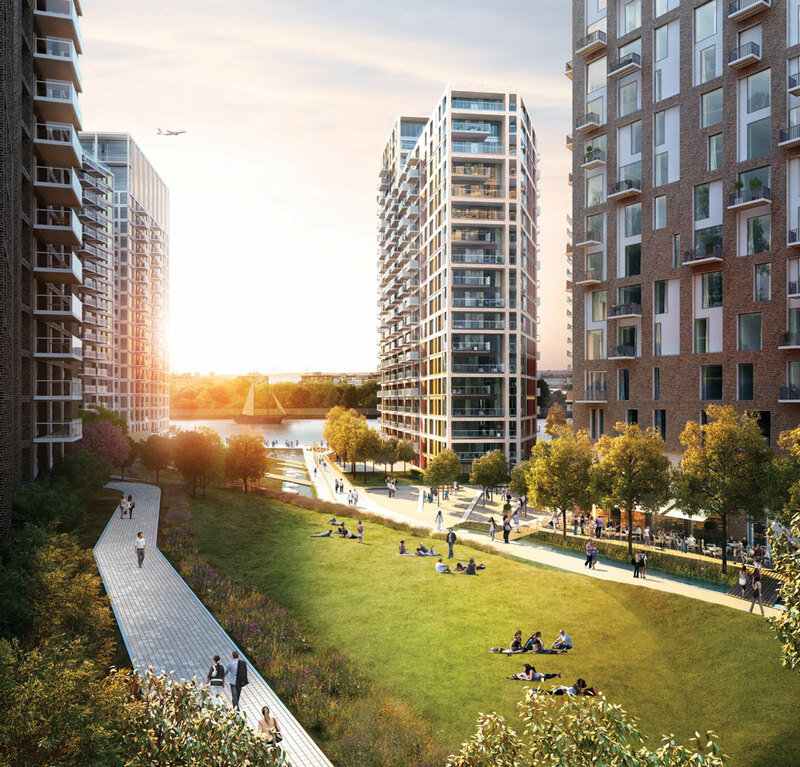 Running beside the capital’s iconic waterway, the development enjoys an extensive river frontage, with city views, a new landscaped park, and enviable travel connections. As such, the new development offers would-be buyers a rare chance to live in the heart of the capital, benefitting from all that comes with London living. 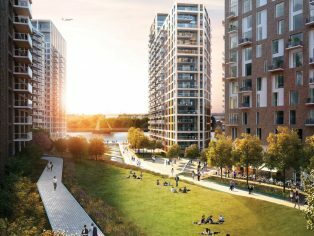 Thought to be one of the largest regeneration projects underway in Europe, the wider scheme is set to bring 5000 new homes along the River Thames. Alongside a forthcoming Crossrail Station to service the new homes, plus an influx of shops, bars and restaurants, it is also hoped the site will become a new cultural quarter in the city. base for a number of international theatre and dance companies. The Berkeley Group is working with multiple housing providers on the project, and architects and urban planners Allies and Morrison designed the masterplan. The build has been separated into distinct phases – firstly Waterfront I is a collection of one, two and three-bedroom apartments, along with duplexed penthouses, and Waterfront II features a range of first-time buyer homes available via the ‘London version’ of Help to Buy. In addition, the shortly to be completed Pavilion Square will provide a mixture of modern architecture within two restored Grade II listed buildings. The Officers’ House will offer a combination of Grade II listed apartments and a contemporary new build, and the Waterside Club will provide a residents- only facility with pool and spa amenities. The Royal Arsenal historically carried out armaments manufacture, ammunition proofing and explosives research for the British Armed Forces. The area’s colourful heritage spans from its militaristic origins in the 17th century, to its closure as a military establishment in 1994, and now to a unique residential development with distinctive architecture. This position was reportedly only attained by stakeholders such as the Royal Borough of Greenwich and the Greater London Authority sharing Berkeley Home’s vision for the long term regenera- tion project. The new buildings created by Berkeley have been placed perpendicular to the waterfront, with the intention of maximising views across the water. This placement also creates a new ‘green link,’ connecting central Woolwich to the Thames. There are wider benefits to waterside living for residents. Studies have shown that views of calm water can ease stress, and proximity to water can induce hormones such as dopamine, serotonin and oxytocin in humans. Levels of cortisol, a stress hormone, are also known to drop when people are close to water. These factors, combined with a new park, allow for a serene living space around the new apartments, albeit in close proximity to the centre of the capital, and located near a new cultural hub. The apartments in Waterside I and II are all open plan, creating a strong sense of space. Each of the apartments have individually designed layouts, with stainless steel detailing and warm finishes that benefit both form and function. The interiors are contemporarily styled, utilising natural limestone and textured wood finishes. A muted colour palette with highly reflective surfaces has also been incorporated to evoke images of yachts on the water. According to David Ferns, managing director of the project’s interior designers, CID Interieurs, the team took the architect’s concept of ‘verticality’, and repeated it in the design detailing of the kitchens, bathrooms, and internal doors to build a connection with the building’s exterior. “We use open plan layouts to maintain the impressive river vistas, with simple, monolithic forms and textured materials to maximise space and natural light. Safety and security have also been important considerations in the apartments, and a range of services have been provided to safeguard residents. These include mains supplied smoke detectors and sprinklers with heat detection in the kitchens, apartment entrance doors all built to Secured by Design standards to meet Metropolitan Police requirements, lockable windows, a 24-hour Concierge service, and monitored CCTV. Homes, meaning they will be highly efficient in terms of their use of energy. In order to achieve this, the developers have utilised high levels of insulation, low- energy lighting, and energy efficient white goods. Elsewhere in the apartments, the water consuming fixtures and fittings in the homes have been selected to ensure that they use less water than the average UK household. This includes dual flush toilets and water efficient showers and taps. A district heating system will serve the development, distributing heat from a centralised energy centre. As proven in many large projects, is targeted to reduce C02 emissions for the development as a whole and bills for individual residents, as well as long-term energy costs. Residents will also be encouraged and enabled to live greener lifestyles. Secure cycle storage is provided for in addition to the nearby transportation links, and electric car charging points will be incorporated within the development structure. Another sustainable design feature of the Waterfront buildings is green roofs to the apartments, which as well as improving water management, noise and air pollution, should increase biodiversity in the area, in combination with the surrounding green space. As to the green areas surrounding the development, the new four acre park at the development includes plentiful space for residents and passers-by to enjoy, linked by an avenue of trees leading down the river. The impressive new linear park running along the river covers an area the size of 13 Olympic swimming pools, and includes “sensory planting and tranquil water movement”. The park leads from the development’s entrance Piazza through to a sensory garden, including interactive water jets and bridges, and waterfall features, all the way down to a waterfront pool. Steve Wardell, managing partner at the project’s landscape designers Gillespies, says that the company’s biggest influence on the project was the river itself. “The park gathers together a series of strands that meet and move towards the water’s edge. Cascading water passes through the heart of the park, with its rich and diverse planting, achieving a variety of spaces for informal play, to engage with the water or simply to enjoy the journey down to the river. To provide some space in the buildings themselves, there are balconies and terraces across all the apartments, with decking, glass balustrades and handrails. Living at the new development will come with a range of benefits beyond the high quality apartments and green spaces. Being near the centre of London provides many amenities at a close distance, with world- renowned restaurants, bars, and theatres providing residents with options for entertainment and culture. The development also offers near- unrivalled transport connections. The forthcoming Crossrail station at Woolwich, planned to open in Autumn 2019, will aid this immensely. It will add to the existing travel links such as the Thames Clipper riverboat service, by allowing residents to travel to Canary Wharf in around eight minutes. In addition the Docklands Light Railway (DLR) and National Rail, located 300 metres away from the development, offer regular services to Bank and London Bridge. Finally, London City airport is a short distance away, around seven minutes via the DLR. Along with the cultural and travel amenities, the development offers residents-only gyms/studios. The Waterside Club provides the Waterfront homes with an array of health and fitness options, with a swimming pool, spa pool, sauna, steam room and massage treatment room. A private cinema room is also provided, contributing towards a range of amenities that give an overall sense of luxury-style living. While London itself can prove to be a stressful place, the Waterside development with its water features, wide open green spaces and spa provides something of an oasis away from the bustle of London. Together with the location’s planned enhancements to travel, cultural and retail offerings, the developers see the area as becoming one of London’s bright spots, in addition to offering a prime location. 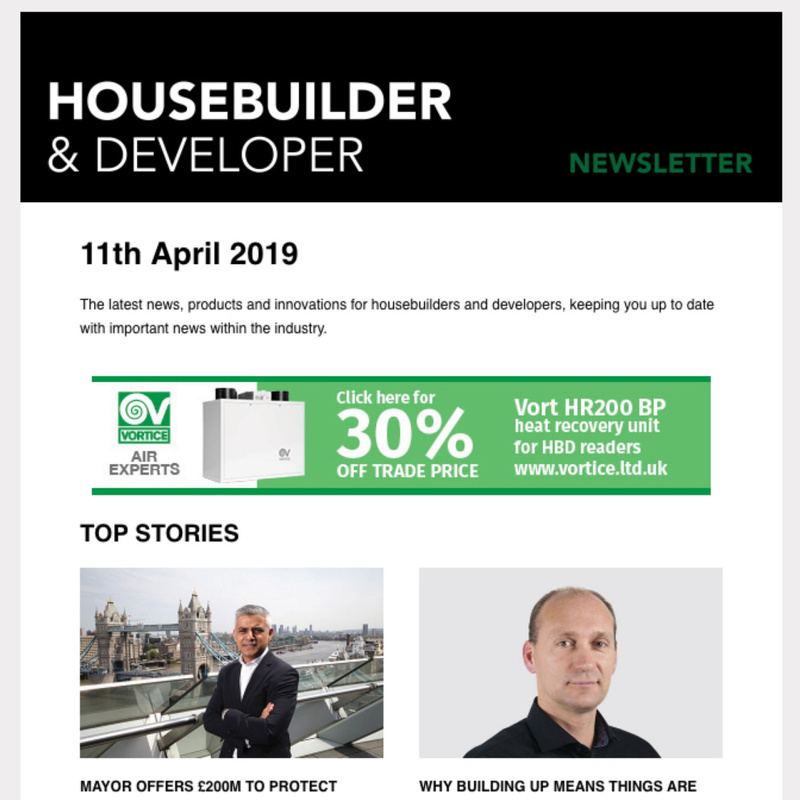 The new development is an interesting new chapter for this historically rich area, and the buildings’ design and specification look sure to make it a successful one for residents and developer. “The blend of the old and the new has been meticulously considered to retain the historical nature of the site.